Jenn joined the DHTFG team in 1996. With over 20 years of experience in the financial services industry, she specializes in the insurance and employee benefits division as well as supervises and manages the firm’s day to day activities. She has set a foundation of building trust and long-lasting relationships with our clients. 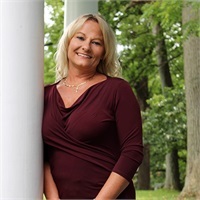 Prior to joining the DHTFG team Jenn worked as an Administrative Assistant to the President of a financial planning and investment advisory firm in Towson, MD, where she obtained her Maryland Life and Health license. Jenn resides in Middle River with her husband and teen daughter. She enjoys boating along the Chesapeake Bay, spending time with family and serving on her daughter’s high school and dance parent boards.